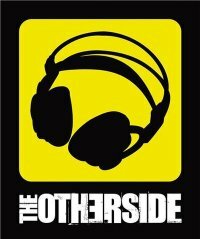 I did a live set for the Otherside Radio show on Saturday. The set went really well with a bit of synth noodles and singing. first mix on the player. 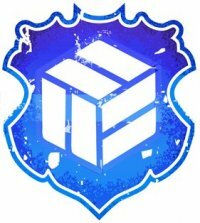 Description:Day events free. Club event Â£5 or free with Delegate Pass Workshop and live set from me and… Three events in one: A unique street rave with NeuTek performing chip-glitch music on a portable device fed wirelessly to Boombot Soundsystem speaker workshops and seminars in association with touch-screen control interface innovators Jazzmutant; and internationally renowned sound artist Richard Devine. This gig was fantastic. Played in the lovely Bluecoat centre in Liverpool. Binary jam was invited along to play and all the acts were amazing, Wrongbot, Jaqs Malchance and the headliners Tim Exile and Sarah Elliot. If you get a chance to see these two play together do so. Sarah has a great big piano rigged with motors and little hammers to trigger sounds on the piano, her playing is fantastic and with Tim’s trademark hyper fx and edits. The two managed to improvise a half hour slot of explosive sound design and beats that never flagged in energy or ideas. All in all a really inspiring night of music and performance and radically different to the usual laptop yawns. Went to see Matt Elliot the ex-third eye foundation producer tonight at the Brudenell Social Club. Was pretty good to see someone singing, playing a guitar and looping with imaginative use of effects and some beats. He also had a good voice too. Which helps. His songs are quite dark, and remind me of old laments or sea shanties. Thats not to say they are retro in any sense, but more the content and lyrics are of the sea and some kind of gallows humour.